CRANDON, Wisc. (September 28, 2017): While last Friday may have marked the official start of autumn, for off-road racing fans the biggest race of the year — the 48th annual “fall” World Championships at Crandon International Raceway is already in the record books. Held August 31st through September 3rd, the legendary facility today announced that many of its existing records “fell” in 2017 — pun intended. That milestone was also reflected in the first pre-race sellout of Crandon’s legendary grass campgrounds in 2017. 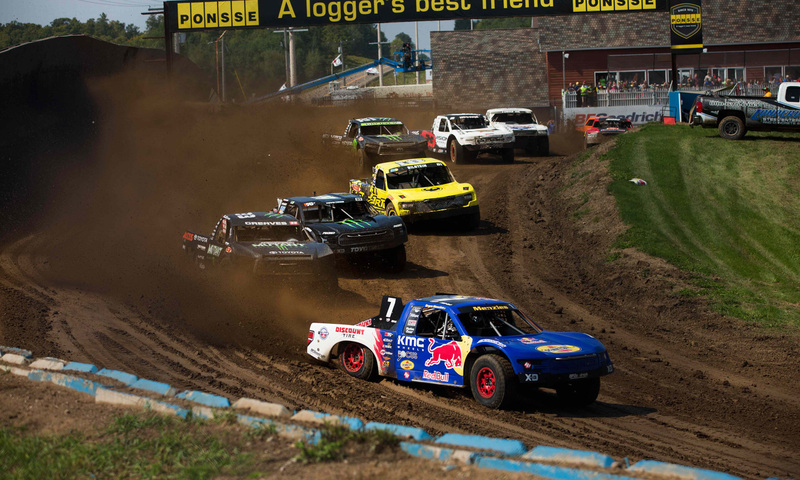 Even with an increase of more than 100 sites from 2016 all 2,100 sites that make up Camp Crandon were sold before a field of nearly 200 racers hit the track for the first of 29 weekend races on Friday afternoon. With great racing guaranteed in a variety of The Off Road Championship (TORC) PRO and Sportsman classes on Friday and Saturday promising an entertaining time for all, a great deal of excitement for 2017’s Crandon World Championship Off-Road Race(R) weekend was generated by the second annual Crandon World Cup, part of the Red Bull Signature Series. 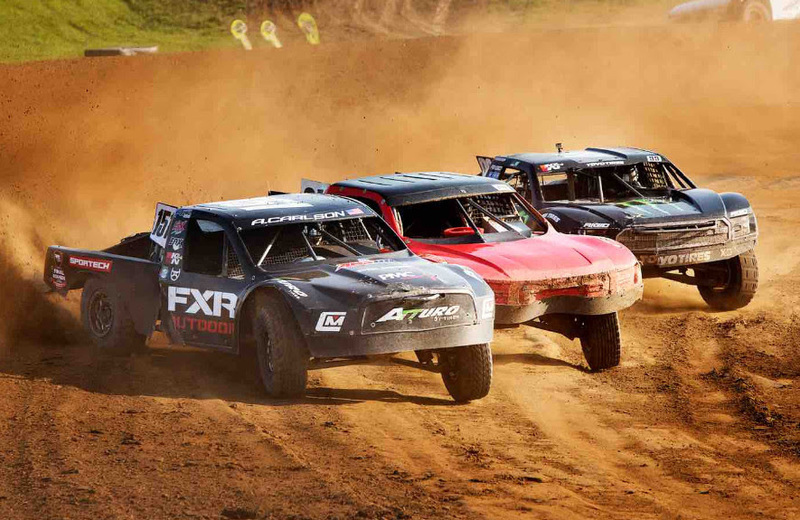 An independent, non-denominational short-course race open to all PRO-class racers from around the country, the Crandon World Cup attracted the sport’s top names from both the TORC and Lucas Oil Off-Road Racing Series in a dynamic East versus West showdown. Much to the delight of Crandon fans, Midwest favorites Johhny and CJ Greaves, along with Keegan Kincaid, Scott Douglas, Luke Johnson, Brad Lovell and Andrew Carlson took on the “best of the west,” a drivers line-up that included Bryce Menzies, Carl Renezeder, Kyle LeDuc, Doug Mittag, Patrick Clark, Eric Fitch, Ryan Beat, Casey Currie and many others. The total purse for the Crandon World Championship/World Cup weekend also set a new milestone for the sport, with Crandon International paying out $160,700 in total cash payout, including an additional $10,000 for the TORC/MORR Sportsman racers. Additional purse support came from Fox Racing Shox for the PRO Light division, Walker Evans Racing in PRO Stock UTV and Vision Wheel for PRO Mod UTVs. Even the highly popular PRO Mod Kart class picked up additional purse support from Rugged Radios, who provided $6,200 in total cash and product support for the youngest PRO category at Crandon. 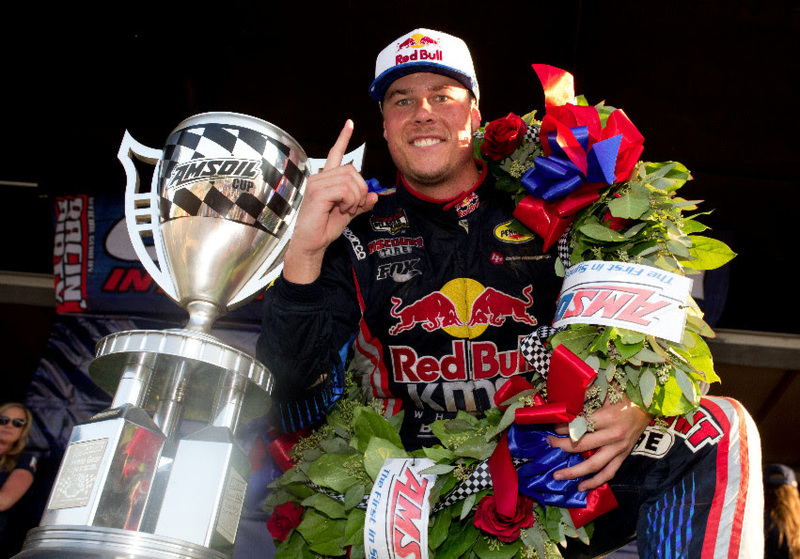 Las Vegas racer Bryce Menzies made up for last year’s last-minute Crandon World Cup cancellation due to injury by making some Labor Day weekend history of his own. 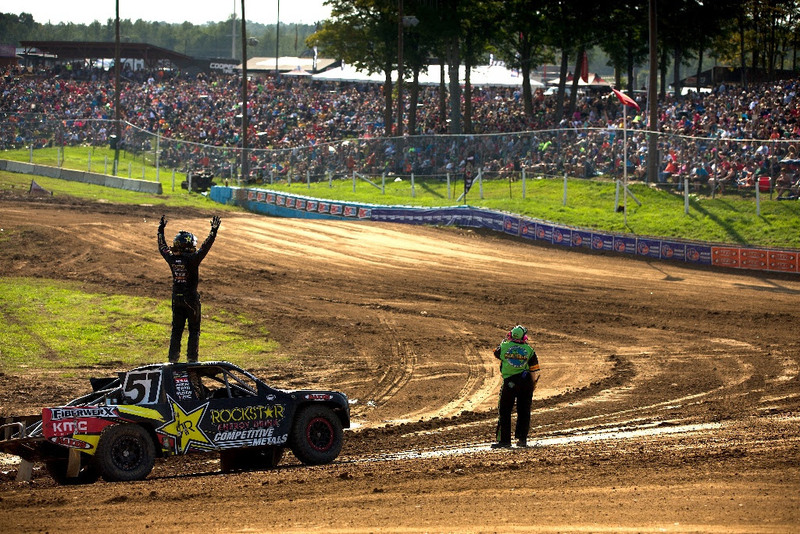 Armed with a solid game plan and two perfectly prepared Red Bull/BFGoodrich/Pennzoil/KMC Wheels/Discount Tire-supported Ford trucks, the veteran short course driver became the first racer ever to earn Crandon World Champion rings in both the PRO 2 and PRO 4 categories — in addition to winning $48,000 plus a custom engraved Henry Rifle, Lincoln Electric welder and Impact Racing safety equipment for the 8th annual AMSOIL Cup Challenge. 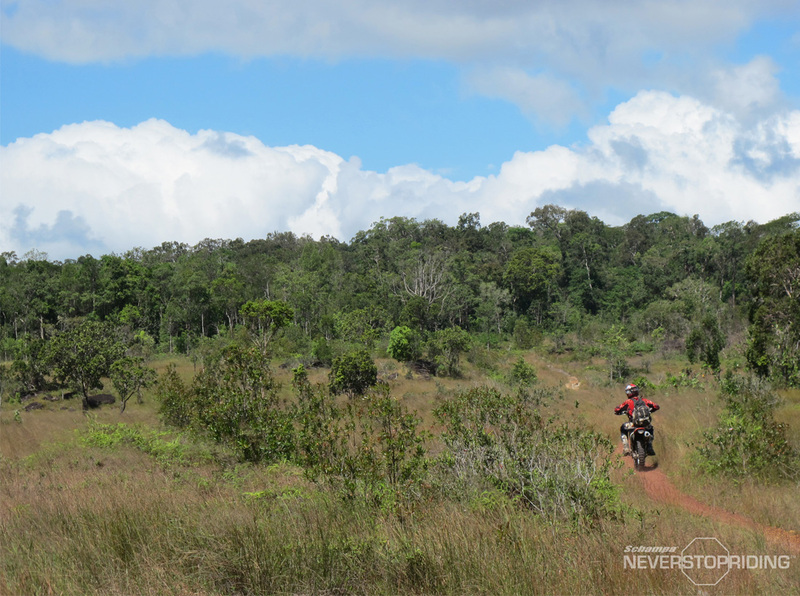 Menzies’ total take for the weekend came to $109,000 in prizes including $63,000 in cash and two new 2018 Polaris RZR 1000s. During Sunday’s AMSOIL Cup Challenge finale, the ultra-fast Menzies also broke the existing track record, streaking around the 1.75-mile Crandon “long course” at a record time of 1:17.736 (51.029 mph). The previous record of 1:18:685 was set in 2016 by CJ Greaves. Both Greaves and Californian Kyle LeDuc also dipped below the old PRO 4 record time during the AMSOIL Cup race. Other big Crandon World Cup winners included Californian Ryan Beat in the ultra competitive Fox Racing Shox PRO Light division ($10,000 cash), Sterling Cling in PRO Buggy ($5,000 cash), Jason Luburgh and his Polaris RZR in Walker Evans Racing PRO Stock UTV ($5,000 cash), Rodney VanEperen in Vision Wheel PRO Mod UTV ($5,000 cash) and Trey Gibbs in PRO Mod Kart ($1,000 cash and $2,500 in Rugged Radios equipment).